We all do it. The painful question is, why? Why do we undermine our own attempts to get healthy, live with meaning, and act according to our values? Will this ever change, or am I destined to always sabotage my own attempts at happiness? Unfortunately, these are the WRONG QUESTIONS! As you are enjoying the cool water and gazing at the dappled patterns of sunlight on the ocean floor, you do not notice that your friend is swimming, mesmerized, toward a gleaming fish hook. When you look up and see what she is doing, it's too late---your friend has chomped down on that wickedly sharp hook and is now caught. Chances are, it's something along the lines of helping your friend get off the hook, calming her down, swimming away, and treating her wound. With a little time for a freak out if necessary. Guess what you probably wouldn't do? Swim in circles around the hook analyzing it, wondering why it is here, what metals it is comprised of, and how you might avoid such things in the future, while your friend wriggles painfully below, bleeding out! Self-sabotage "hooks" us, bleeding out our intentions and hopes and goals while we wriggle on its point, asking questions like "why do I do this?" and "where did this come from"? This is not the time for deep self-analysis. This is the time for emotional first aid and quick, decisive action. So what should you do when you notice you are caught in self-sabotaging behavior? First, you need to know what kind of sabotage you are doing. How are you undermining yourself? Are you talking yourself INTO something (“I won’t” sabotage) or OUT OF something (“I will” sabotage)? "I will" is the part of self-regulation that involves us in new behaviors and finds inspiring new ways for us to expand and grow. It would make me really nervous to call and ask for that promotion, so I’ll let it slide. I really hate looking at my bank balance and thinking of all the money I’ve spent, so I’ll wait a few months to get my finances in order. I’ll feel like the most out-of-shape person in there, so I won’t go to yoga class. "I will" sabotage keeps us playing small, avoiding short-term discomfort, and stuck in old patterns. "I won't" is the part of self-regulation that we often think of as willpower. It's the part of us that rejects actions that violate our goals and values. I went on a long hike yesterday, so I deserve to skip out on the workout I had planned for today. Work was exhausting today, so I deserve to have a netflix binge tonight instead of working on my taxes like I said I would. I just need to answer this one really important text and I’ll be present with my kids afterward. 1. For “I will” sabotage, get clear on your desires. What do you want? What is your 5-year, 10-year, 20-year plan? Write down who and where and what you want to be in the long run. Get details. How do you want to feel? What work do you want to be doing? What skills do you want to have developed? Gather images of the life you want and the person you want to be, and put them in a prominent place. Check your actions against your goals. Feel uncomfortable looking at those images? GOOD! Cognitive dissonance is your friend! If you allow yourself to feel the discomfort of the discrepancy between the way you spend your time and the person you want to be, you are building the internal motivation to change it. Take a moment each morning to write down a small action you can take today that will bring you closer to your long-term vision, and enjoy the delicious feeling of doing it! Check in with friends for accountability. Sometimes we need a little push to get over the short-term discomfort of trying something new, and having a friend we feel responsible to can help provide that push. Tell your friends what you are working on, and ask them to check in on you to make sure you are doing it. 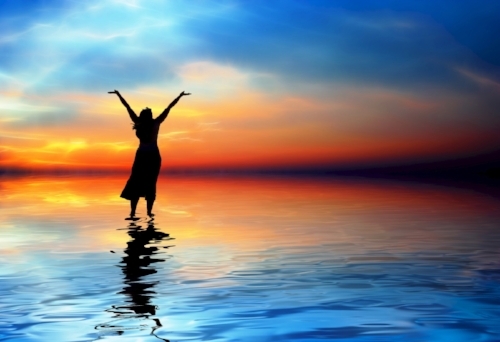 Decide that you are worthy of the life you want and the effort it takes to get there. Reframe short term discomfort as “pleasure tax” for long-term joy. 2. For “I won’t” sabotage, pay attention to the debates in your head. Notice every time you talk yourself into doing something that goes against your long-term goals, and every time you internally justify your behavior to yourself. This signals a values violation. When you notice this "talking-into" behavior, check in with yourself. What value are you talking yourself into violating? Name the value and ask yourself to consider if this action is truly worth it for you. Check in on any moralizing. Have you been defining certain actions or behaviors as “good” or “bad”? The science shows us that when we moralize, and link our essential goodness to the way we eat or how often we exercise, we are more likely to engage in “I won’t” sabotage. Steer clear of black-and-white thinking! This isn’t about being a good person, it’s about deciding to accomplish your own goals and live by your own values. 3. 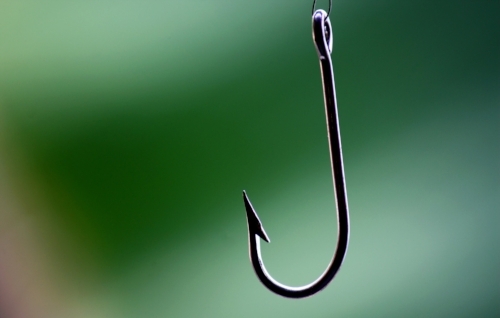 Once you've engaged in decisive action to swim away from that hook, perform emotional first aid. Check your self-compassion. Have you been going for short-term comfort because you are trying to numb out uncomfortable or painful feelings? Name any painful feelings or thoughts you are struggling with. Offer yourself compassion for how difficult it is to experience this pain. Check in on self-blame. If you have been making yourself wrong for your struggles with painful thoughts and feelings, offer yourself understanding and forgiveness. Re-affirm your worthiness. You deserve more than short-term comfort—you deserve the deep, meaningful joy of achieving your long term goals! If you struggle with step three, you are not alone. Self-compassion is hard for most of us, and many of us struggle with feeling worthy of the life that we aspire to. Don’t be afraid to reach out for help---ask a trusted friend to text you three things they love about you, or call someone you’ve known since childhood and ask them to describe what they see as your strengths. This is also what counselors are for, so don’t be afraid to reach out and ask for a free consultation! There are many, many fish hooks in the sea, so chances are you will find yourself engaged in this struggle more than once—that’s okay! Every time you notice yourself wriggling on that self-sabotage hook, simply name your sabotage, take decisive action, and compassionately engage in emotional first aid. We love to hear from you! Feel free to comment below or email us at innerlightasheville@gmail.com.